Join Us on a Sunny Adventure in Europe's Top-Rated Country! Nope, it’s not Spain. Not Italy. France? Mais non. Europe’s #1 country is… Portugal! That’s what readers of USA Today say: The newspaper has just announced its “10 Best” Readers’ Choice Awards, and Portugal has surpassed the continent’s better-known tourism magnets. And I enthusiastically concur, having spent a delightful idyll Paddling Portugal’s River of Wine with Nat Hab. Portugal is both sleepy and lively, for the perfect blend of laid-back fun. It’s steeped in history, and tradition still retains a strong hold in Portuguese culture, especially in rural areas. 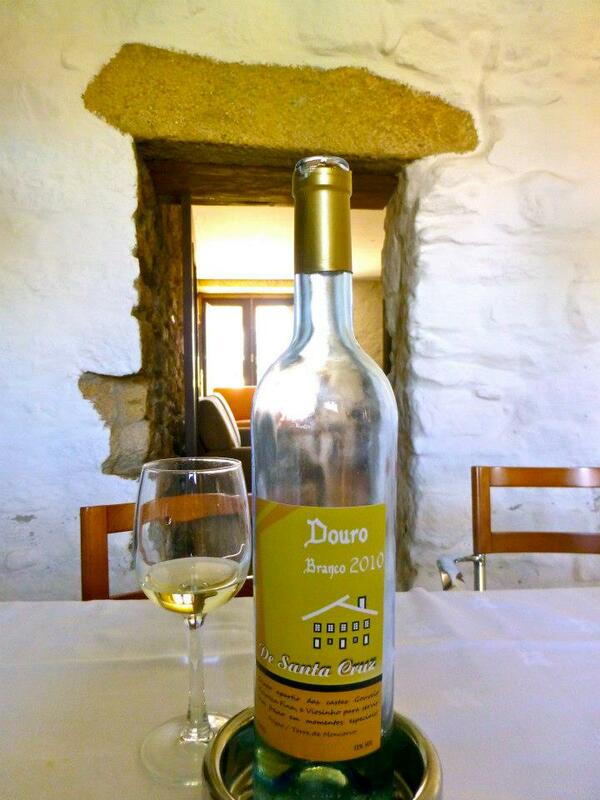 Portuguese food is renowned for its hearty mélange of flavors, and locally produced wine flows freely alongside it. And over all, the Mediterranean sun shines, ripening grapes, warming water and lifting spirits. 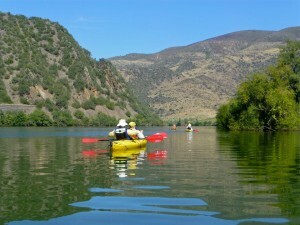 If you’ve yet to experience Portugal’s riches for nature travelers, take a look at Nat Hab’s mellow kayaking sojourn – you’ll paddle the flat water of the lazy Douro for several hours each day, stopping along the banks to picnic and pluck ripe fruit as we go, then retire each afternoon to classic vineyard estates called quintas, set among the terraced rows of grapes that produce the world’s authentic port wine. And oh, the food…and wine! Each evening we dine on huge repasts of home-cooked local dishes, with fresh, often organic ingredients produced directly from the farms. We’re frequently joined by the family members — our hosts — who have made wine here for generations and love to share their favorite vintages with us. It’s no wonder this trip’s creator, our CEO (“Chief Exploratory Officer”) Olaf Malver, refers to it as our “float and bloat” adventure! You won’t find this highly personalized experience anywhere else… because only Nat Hab offers it. If you want to find out for yourself why Portugal is so special, there’s no more distinctive opportunity than our one-of-a-kind paddling sojourn. I’d love to tell you more about — don’t hesitate to email me at wendyr@nathab.com. “A sua saude” – to your health! BEST trip ever! 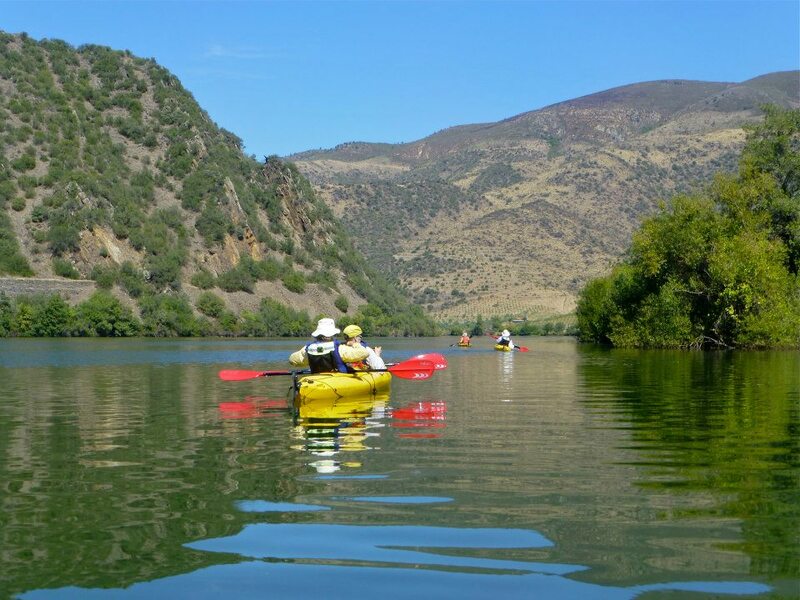 I went on the River of Wine trip this past September and it was spectacular – the kayaking, the wine, the food, the people and the beautiful countryside all combined to make a most memorable adventure. Thanks NatHab, Nancy, Vitor and Pedro! You rock! Thanks for the nice note, Cathy! We’ll pass along your message to Nancy, Vitor, and Pedro 🙂 Hope to see you on another adventure soon!